Made of specially tempered tin plated high carbon steel. Used on electric and acoustic guitars. 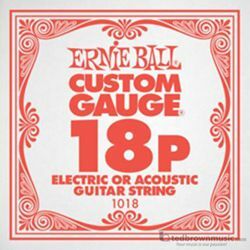 Ernie Ball revolutionized the market by offering guitarists Custom-Gauge single strings.